Here at MIT, we are lucky to have separate recycle, trash, and compost containers labeled with what goes in each. However, when we left to our own devices to figure out what is recycled and what is thrown away we’re at a loss for what to do. Our project resolves this problem that handicaps the recycling movement by providing a “one-stop shop” for all your recycling woes. This website prompts the user to input your State, City, County, and the item in question. It then tells the user if that material is accepted by the recycling centers of that city or county. If there is any additional information regarding how the item should be prepared prior to recycling, this website will also provide that. 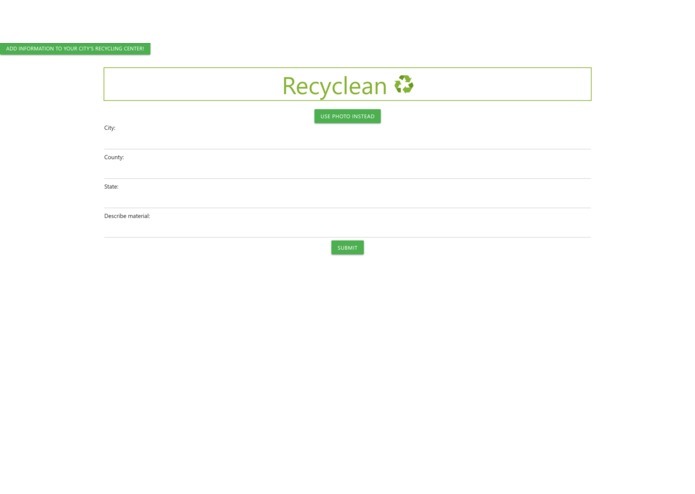 Not only does this website give users information on the recycling program of the city of their choice, but the user also has the option of contributing information about their city’s program to the database.